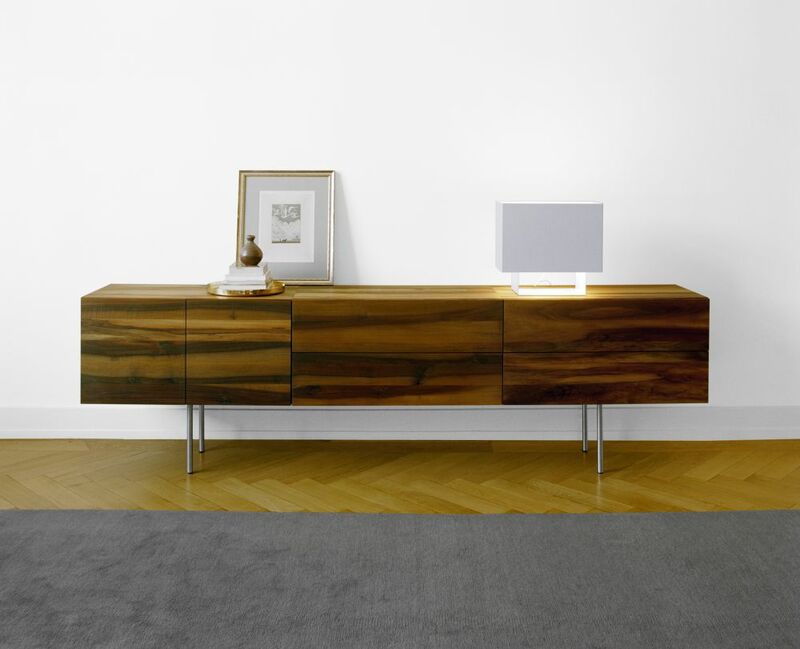 The modular, wall-mounted sideboard Shahnaz appears light and elegant. The visual buoyancy is achieved with an intricate construction without visible frames. Shahnaz is modularly combinable with chest of drawers Mahnaz, bar cabinet Araq and open shelf Dara.